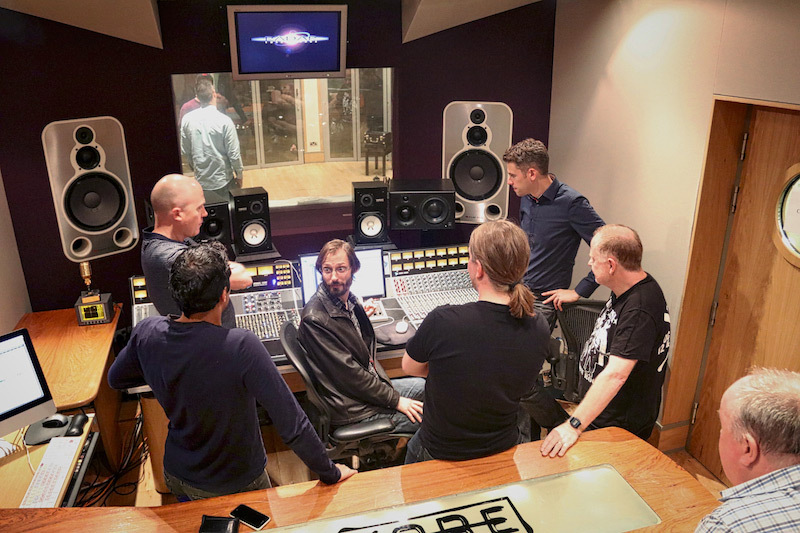 On 1st September 2016 I was invited to a Sphere microphone event hosted by Townsend Labs at Kore Studios in London. This gave me and many other London based audio professionals an opportunity to experience the new Sphere microphone system by Townsend Labs first hand and to see whether it would live up to the expectations. The Townsend Labs team set up two Sphere microphones in the amazing live room at Kore Studios with my wife Georgie as the vocalist for the demonstrations. So I offered to accompany her on acoustic guitar as I was keen to experience recording through the Sphere Microphone. Inside the Sphere are four LED lights that illuminate the capsule in a very attractive white/blue glow. Now you might think that the LEDs a gimmick but I don't believe they are, if anything I felt that the LEDs acted as a useful visual aid. I felt as though I could engage more into the performance of the guitar as I could look down at the fingerboard with the glow of the Sphere microphone in my peripheral vision acting as an easy sweet spot guide. But if you do find the LEDs distracting you can turn them off if you prefer. I really appreciated the the naked sound quality of the Sphere, without any microphone emulations. To my ears the microphone emulations in the plug-in do have very different characters however, I was more interested in the ability to adjust proximity and polar patterns in the plug-in after tracking. Those features I feel are the magic of the system that gives the whole idea of the Sphere being a 3D mic modelling system real merit. I felt there was a lot of enthusiasm and excitement for the Sphere from everyone who attended the event. People were exploring how the Sphere microphone system could fit into their workflows and in talking to people afterwards Paul Drew told me that he was very impressed with the flexibility of the Sphere microphone and that he is looking forward to trying it out in his studio as soon as possible. 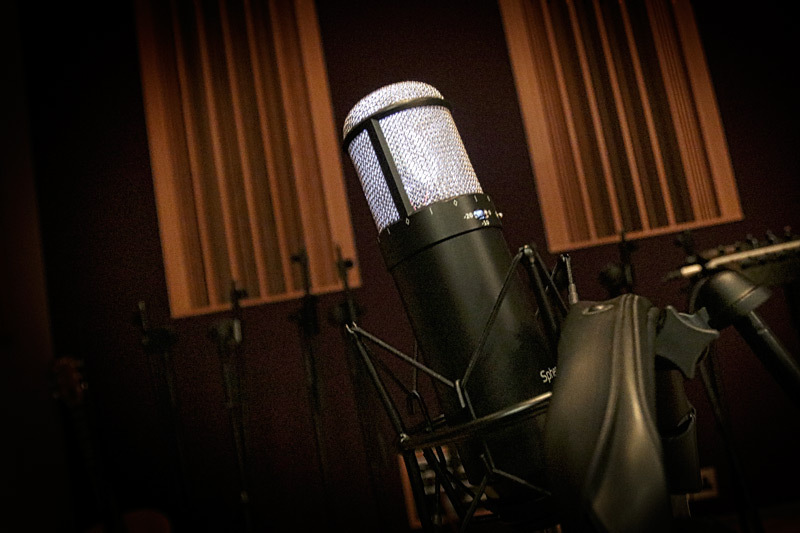 he loves the way you can change polar patterns after the recording has taken place, and he is already thinking of loads of creative ways to use this feature on the new Sphere Microphone. On the way home my wife told me that the Sphere was effortless to sing into. She said that it felt like any other microphone she had sung into before. She didn't hear any latency in the headphones even when she was recording using one of the emulations. As a result Georgie suggested we should consider getting one for our studio.